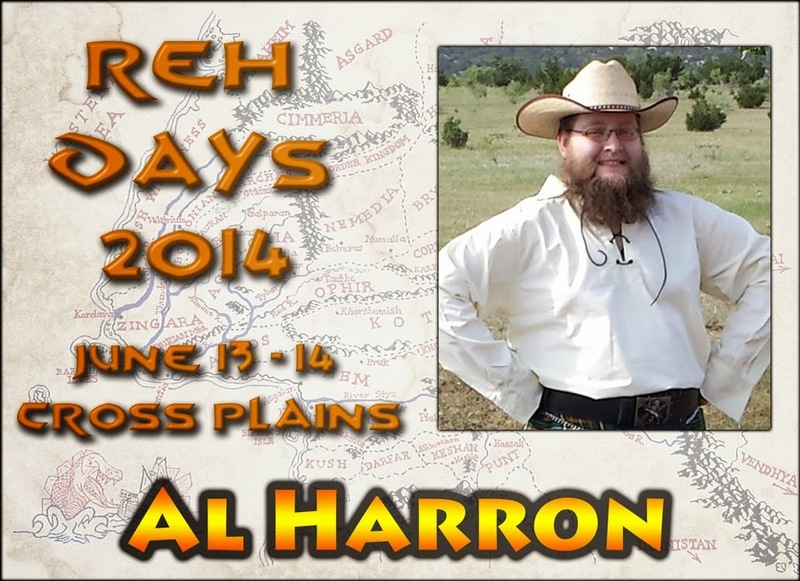 Legendary Scotsman Al Harron will once again be crossing the Western Ocean to visit the Nameless Continent. Al is one of the premier champions of Robert E. Howard in the vast reaches of the blogoshpere. He was a major contributor to The Cimmerian blog in its final years and one of the main forces behind the massively popular Conan Movie Blog. On his personal site, The Blog that Time Forgot, Al writes, not only about Howard and his works, but also other fun themes in popular culture. Al has been nominated for several REH Foundation Awards and was co-winner of the 2010 Stygian Award for his contributions to the The Cimmerian. He is also the administrator of the REH Readers Group on Facebook. In addition to his REH activities, Al is currently developing his own comic series which is a weird fiction version of the Battle of Bannockburn -- something Robert E. Howard would have loved.